The INGOT COIN is a cumulative ecosystem that combines all the elements needed to store, manage and transfer cryptographic and traditional assets. Governed by smart contracts and decentralized technology protocols INGOT COIN will establish IC Digital Bank with an integrated cryptographic wallet to provide an entry, exit and storage points for both fiat and crypto currencies. Furthermore the ecosystem combined with a digital exchange and brokerage will allow users to easily exchange fiat as well as crypto currencies with traditional assets like stocks, commodities and other currencies. There is no information about the product development. The MVP is not available. The token will have both security and utility functions. The token holders will benefit from the growth of the Ecosystem’s returns. The returns will be reflected on the price, in terms of Capital Gains and in terms of Dividends. The token will also be used as a method of payment both inside and outside the ecosystem. 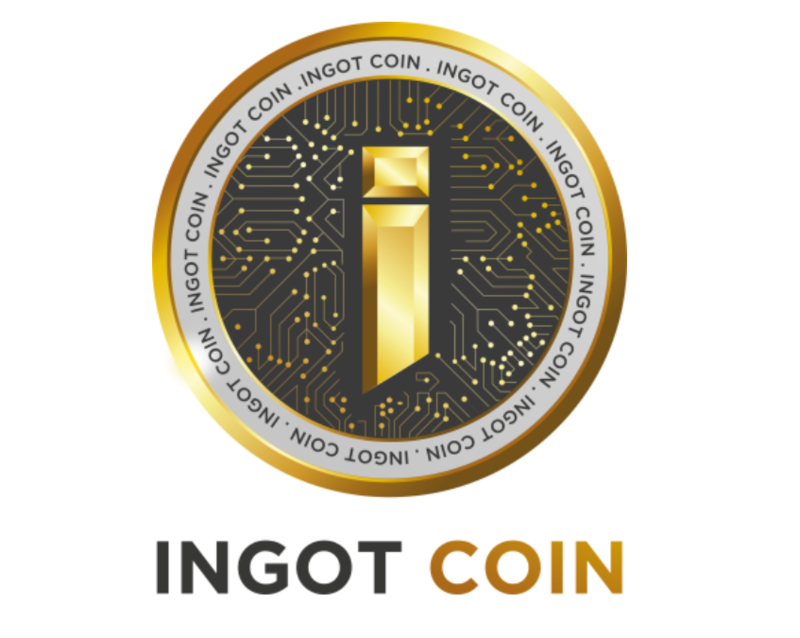 INGOT Coin solution will have to compete with IndigeGoGo ICO, Fund Platform, FastInvest, NousPlatform. The regulation behind managing and investing funds might be a significant barrier to growth for INGOT Coin. There are already several projects aiming to create tools simplifying ICO investments, which already raised money. For instance, BankEx which creates PoA protocol to tokenize different types of assets, already raised 70M USD and is about to launch asset-backed exchange. There are already working cryptowallets and crypto-to-fiat exchanges that have large paying customer base. That is why in this industry the probability of success of Ingot coin is very small. The product development start and the current stage of development is not clear. The product description is long but most of the provided information is redundant and does not make it clear to understand the product advantages. The project claims to provide high levels of liquidity in its proprietary exchange. However, the team does not even give an idea of how this liquidity will be delivered. The project has quite an ambitious roadmap which does not seem feasible. MVP is not available. There is no information on the fee size. The business model description is sketchy and does not give a good explanation of how the company will earn. It is unclear how the rest 5 components of the Ecosystem(apart from Exchange) will earn money. The soft cap of 35M USD seems to be way above the median figure of comparable companies. The hard cap of 90M USD seems to be way above the median figure of comparable companies. The hard/soft cap ratio is around 3 which allows to assume that the project wants to attract as much money as possible and does not have a clear understanding of required budget. As the company will sell 75% of its tokens, the project valuation will be around 120M USD which is a tremendous value for a project without available MVP. There are no specialists with technical background in processing and acquiring data from exchanges. The CEO does not have previous experience in the financial industry. Most of the core team members have business majors and does not have previous technical experience. Most of the team members previously worked at INGOT Group companies, such as SIgma Investments LTD, INGOT Brokers, and others. However, there is no available information about the track record of these companies. There is no CTO in the project. Now, there are just 2 technical specialists in the team, according to their website. 2017 was a historic year for ICO’s. Startups raised a collective $4.2 billion through ICOs, up tremendously from the $295 million raised between 2014-2017. Notably, ICOs handily eclipsed the $3.34 billion invested in 2017 seed deals. ICOs aren’t just for FinTech anymore, and now seen as a viable alternative for startups to secure initial capital. In order to simplify and structure ICO investing process for customers, several platforms have already been launched. INGOT Coin solution will have to compete with IndigeGoGo ICO, Fund Platform, FastInvest, NousPlatform. The regulation behind managing and investing funds might be a significant barrier to growth for INGOT Coin. The marketplace for the Ingotcoin is diverse and potentially large in volume. For example, BlackRock, Inc. alone manages $5.5 trillion in assets. As everybody knows, there are many hedge funds, banks, institutional investors, private investment funds, family trusts, venture capital funds and many more investing entities. At some point a plurality of these entities will implement blockchain technology; it is a promising method to limit liability and increase profitability by overcoming major obstacles. Yet today, the ratio of tokenized assets to traditional assets remains miniscule. However, There are already several projects aiming to create tools simplifying ICO investments, which already raised money. For instance, BankEx which creates PoA protocol to tokenize different types of assets, already raised 70M USD and is about to launch asset-backed exchange. The market opportunities for the other products Ingot Coin aims to create are not that bright. There are already working cryptowallets and crypto-to-fiat exchanges that have large paying customer base. That is why in this industry the probability of success of Ingot coin is very small. The Exchange will charge a preferred rate on all transactions paid in IC coins. It is unclear how the rest 5 components of the Ecosystem (apart from Exchange) will earn money. The soft cap of 35M USD seems to be way above the median figure of comparable companies. The hard cap of 90M USD seems to be way above the median figure of comparable companies. The hard/soft cap ratio is around 3 which allows to assume that the project wants to attract as much money as possible and does not have a clear understanding of required budget. As the company will sell 75% of its tokens, the project valuation will be around 120M USD which is a tremendous value for a project without available MVP. The team provides the anticipated expenditures by product both for hard and soft cap. According to the official LinkedIn page, there are 11 people working at INGOT Coin. There are 22 people listed as team members on the company's website. Most of the team members previously worked at INGOT Group companies, such as SIgma Investments LTD, INGOT Brokers, and others. However, there is no available information about the track record of these companies. Most of the core team members have business majors and previous experience in finance. However, none of them has technical background. The CEO does not have previous experience in the financial industry. There is no CTO in the project. Now, there are just 2 technical specialists in the team, according to their website.